Our clients can avail from us quality range of shearing machines that have gained appreciation for precision functioning. Offered range includes scrap shearing machines, cold crop shearing machines, rotary shearing machines, flying shearing machines and alligator shearing machines. Renowned for operational fluency, these are used for cuffing of spirited hot ends, cold crops and scraps. We offer various types of shearing machine that include rotary shearing machines, scrap shearing machines, cold crop shearing machines, flying shearing machines and alligator shearing machines. 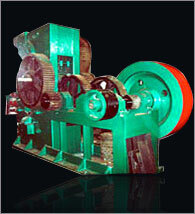 Shearing Machines are used for cuffing of spirited hot ends, cold crops and scraps. They are of various types such as cold crop shear, scrap shear, hot end cuffing shears, rotary shears, flying shears etc.They have a capacity of 1"to 6". Our end cutting shearing machine incorporate latest technology for increased productivity. 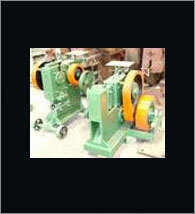 These machines are used in hot steel rolling mill plants for cutting of end of the angle. The processed curving edge can be trimmed by the square roller from the top and bottom at the same time, the straight line can also be trimmed by the linear gauge from the top and bottom at the same time with fine brightness and smoothness. End cutting shearing machines are installed near the roughing stand and can be used on oval stand or finishing stand. Rotary shearing machines are used between roughing and intermediate finishing stands to crop front and back ends in TMT Bars/Wire Rod Mills. 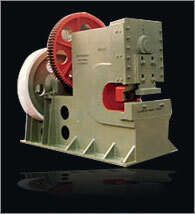 These machines are provided with self lubricating drive gear box for consistent and smooth operation. We offer high performance rotatory shearing machines both fixed as well as swivel arrangements. Fully Automatic with pneumatic controls, capable of cutting hot ends (front and rear) During Rolling, and fixed Lengths of finished bars. Circular Blades manufactured from High carbon, high chrome steel. 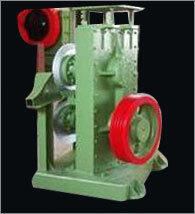 Billet shearing machine are made of tested rolled plates and fabricated from top grade raw materials. 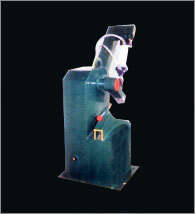 Our machine are manufacture to cut various sizes of billets. Available 3 To 10 Billet Cutting and 12/8 Slab Cutting for M.S and S.S. Heavy Duty Stroke per machine 15 to 10. Our range of pneumatic snap shears are widely used for cutting squares, bars and other similar products. The pneumatic cylinders of adequate capacity controls shearing and swiveling applications with precision. Frame of the shears are fabricated with relieved structural sheet flats that provide ultimate stability and durability. Our range of scrap plate cutting machines have a high reputation among Steel Re-Rolling mills, Scrap processing yards, Ship breaking yards, heavy engineering works all over the world. These machines are built on sturdy and straight forward lines and are completely self contained. They are specially designed for rapid cutting of metal scrap / plate and posses the stamina for continuous high speed duty.